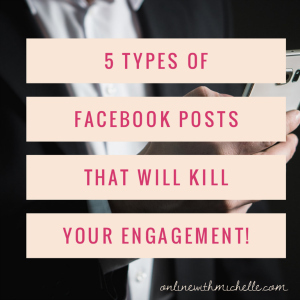 In fact, if a post falls under one of these 5 categories, Facebook will not only “demote” your post, but will reduce your overall ranking score. So Why Does Facebook Care? Facebook’s priority is to ensure the best experience for everyone using their free platform. They want you to be genuine and not post in a way that takes advantage of their News Feed algorithm by boosting engagement in order to get greater reach. They are not looking to zap the fun out of your posts or make it difficult for you to market your business, they simply want you to focus on posting authentic content that is relevant to you and your business. 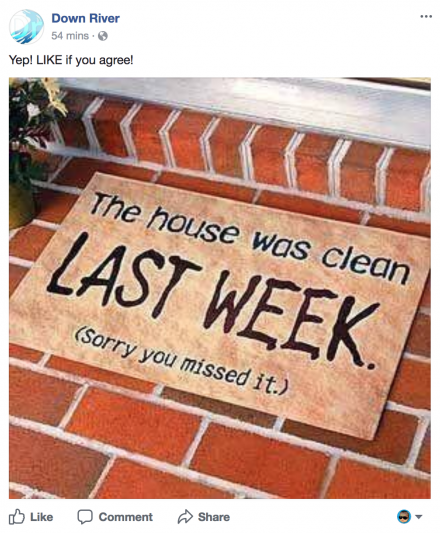 They are basically “fluff” posts that don’t provide value to you, your business, or the Facebook community. 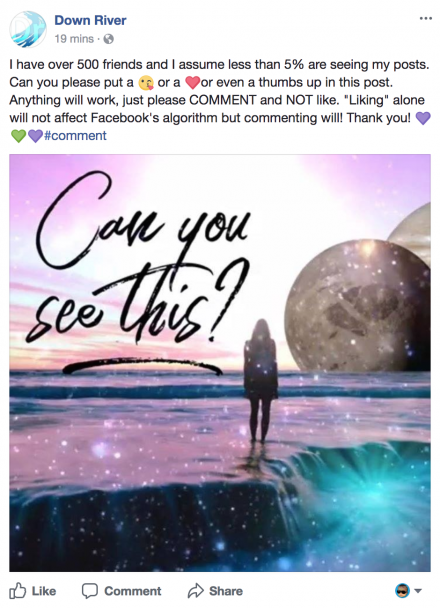 Many users have been posting this type of content, and Facebook has discovered that those types of posts are continuously being marked as spam. People no longer care for engagement bait posts. The Facebook community has seen this type of content a million times over and are now bored and annoyed with it and Facebook has been kind enough to share this information with you so that you can change your ways and post better quality content. It might sting a bit to hear because you may really enjoy those types of posts, but as a business owner, you should take the constructive criticism from your audience and adjust your posts to show your followers content that they actually want to see. Facebook says, “Asking people to comment with specific answers (words, numbers, phrases, or emojis)” is engagement bait because it is spammy in nature. People often feel that you are only asking them to comment so that you can increase your visibility on Facebook without providing any value in return and the Facebook community does not care to be used simply for your business’ gain. Tagging is a Facebook feature that is meant to tag a person who is actually physically in the image/photo you are posting. It is not meant for tagging 47 of your friends on a post so that they can see it and comment. Asking people to tag their friends in the post message or in the comments is a big No-No. Facebook is including these types of posts as engagement bait because of the negative feedback collected from users that were tagged and in no way connected to the content of the post. Facebook Reactions were created for us as a way to portray how a post makes us feel but Facebook doesn’t want you to force people to comment with a specific reaction on a post. Keep the reactions out of your posts as Facebook wants people to use them as they were intended. Having people vote using reactions, or by commenting or sharing will also be considered engagement bait posts. 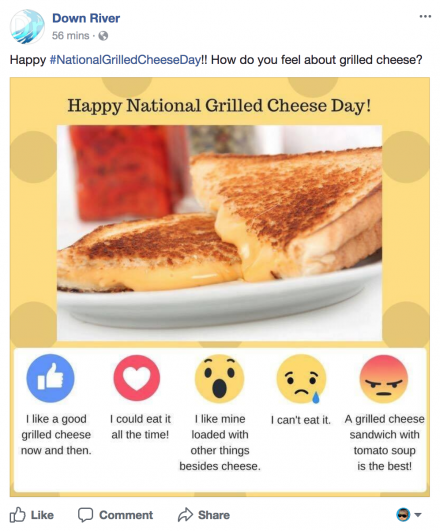 Facebook does not want you to bait people into voting using their reactions when the reaction doesn’t align with the voting subject (for example, the angry grilled cheese option) so don’t use them in your images. 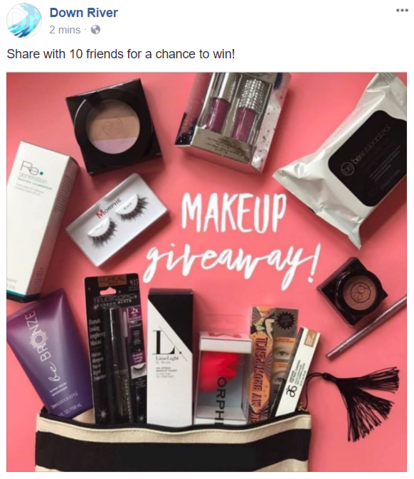 Asking your friends and followers to share a post so they can win a contest or receive some type of reward is considered engagement baiting. It’s fine to ask your audience to share content that is related to your business and provides value to further educate others but do not include any sort of giveaway in your Call to Action. In short, if you are using Facebook in an inauthentic way, such as encouraging followers to react, share, or comment simply to gain more exposure in the News Feed, your content will be seen less and less. Business pages that repeatedly use this tactic will be demoted even more. If you ask a question that you don’t really care to know the answer to, and you’re just posting to get lots of quick comments to try and cheat the algorithm, do not post it. Facebook wants to build a better News Feed for everyone and their algorithm is now smart enough to spot those pointless posts a mile away. 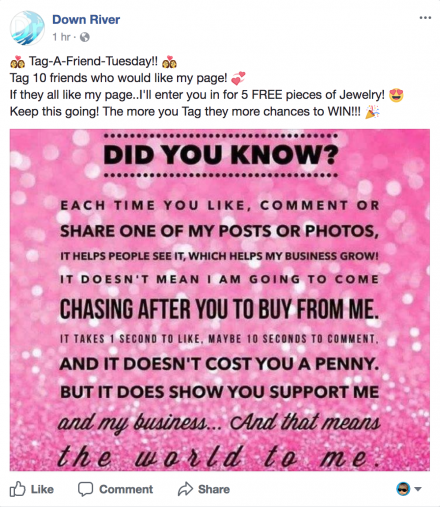 But let’s be honest, did those posts help your business anyways? Many of my students have revealed that instead of creating posts just to get engagement, crafting effective “curiosity posts” is much more effective. Be sure to request to join my FREE private Facebook Group where I share some great examples on what you can be posting as “curiosity posts” that don't come across as spammy but get lots of engagement! CLICK HERE and Request To Join. The best thing to do moving forward is to put real, genuine thought into what you are posting and deliver quality content (that brings value to you and your audience) so that your audience and yourself as a business owner will both benefit from it! I hope you got value, if you did, you an share this article to Facebook or Twitter just by clicking on the little icons. If you haven't grabbed my free checklist that will help you optimize your personal profile for success, then be sure to get it by Clicking Here. 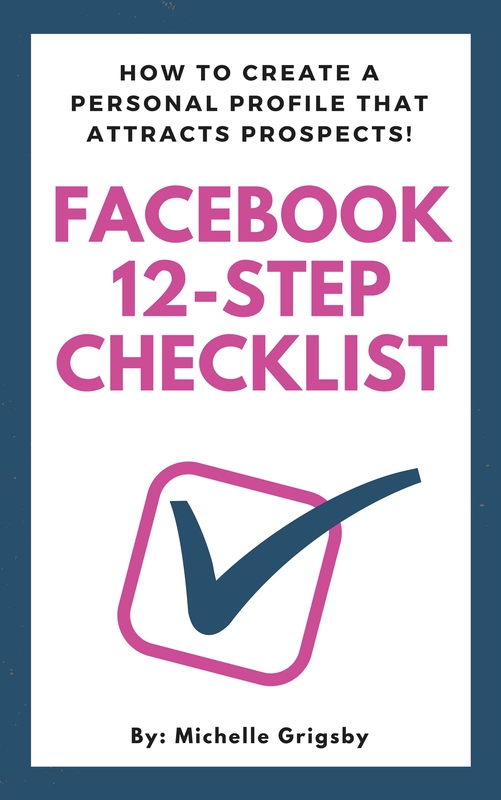 Inside the checklist, I'm also going to give you toolbox of “hacks” to spark engagement on your Facebook Posts.